The commander of U.S. Northern Command delivered a message from Defense Secretary Jim Mattis to the people of Texas today during an update on Hurricane Harvey from the Texas State Operations Center in Austin, Texas. Texas Gov. Greg Abbott led the update on the Category 4 hurricane that since Aug. 27 has devastated southeastern Texas, and he summarized the Federal Emergency Management Agency-led and ongoing rescue and restoration operations there, before introducing Air Force Gen. Lori J. Robinson. On behalf of Mattis, Joint Chiefs Chairman Marine Corps Gen. Joe Dunford and the men and women of the armed forces, Robinson expressed hope for the people affected by the storm. “I would like to offer our heartfelt thoughts and prayers to all of those who have been affected by Hurricane Harvey,” she said. In her role as Northcom commander, the general said, she is responsible for deploying active duty soldiers, sailors, airmen and Marines to support FEMA and state requests for assistance to local, county, state and federal civil authorities in devastating times. “When disasters of this magnitude strike, a whole-of-government response is necessary, and DoD is a part of all of that,” Robinson said. Robinson said she had a conversation yesterday with Mattis. “He made the comment to me: ‘Lori, Texas gets everything they need, and we’ll get it there as fast as we can,'” she said. — The Army has provided 200 high-water vehicles to support the Red Cross in the moving personnel and patients. Army helicopters with hoisting capability are helping to rescue and transport survivors, and the Army is overseeing the receipt and issue of life-support items. 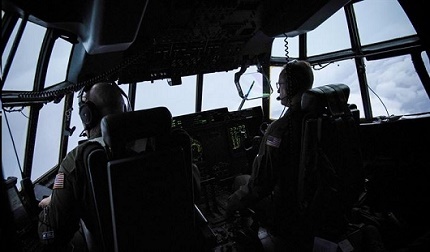 — The Air Force is providing strategic airlift, fixed-wing airlift, medical evacuation, airborne command and control, and helicopters to transport people and supplies. — Navy amphibious ships USS Kearsarge and USS Oak Hill, along with Marines from the 26th Marine Expeditionary Unit, are en route to Texas should the state need them. 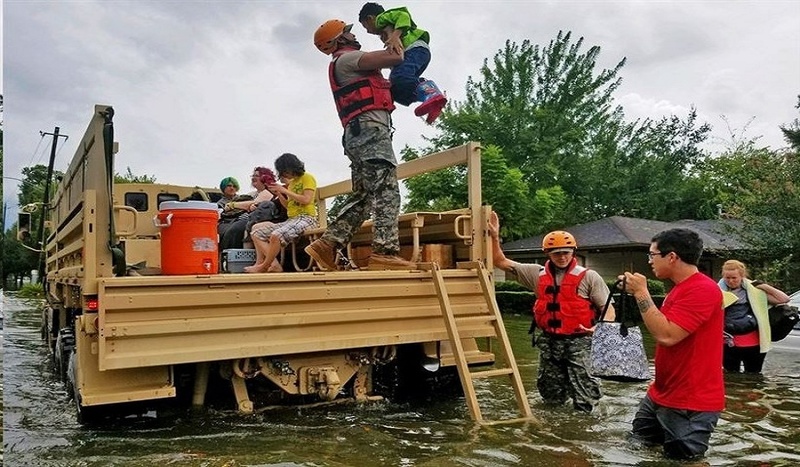 — The Defense Logistics Agency has provided fuel, sandbags, generators and incident-support bases and is delivering meals to dislocated citizens. — The U.S. Army Corps of Engineers has deployed experts to the state and to FEMA, and response nodes to help provide technical assistance with power restoration. These are just a few things the men and women in uniform are doing to help with the larger relief effort, Robinson said. “We are committed to assist local, state and federal agencies throughout this trying time for our nation,” the general added.